To fully understand the chronicles of water treatment we have to look back at scientific history. In 1860, there was a scientific debate between Louis Pasteur’s Germ Theory and Antoine Bechamp’s Terrain Theory. 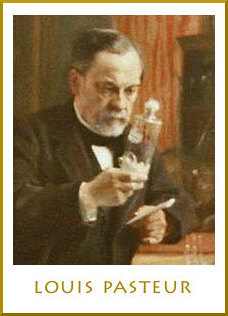 Pasteur’s Germ Theory stated that specific bacteria were the cause of specific diseases. 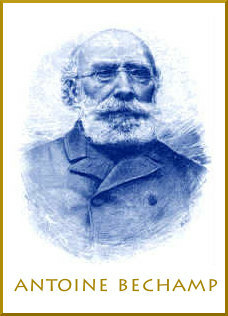 Bechamp’s Terrain Theory stated that the environment, not the bacteria itself, was the cause of disease. Bechamp believed bacteria and viruses were attracted to the specific vibration of different environments, frequencies and terrain. In the end, Pasteur’s Germ Theory won this debate and set the course for modern Western medicine. In the case of water, had we pursued the Law of Attraction theory proposed by Bechamp and investigated the frequency (vibration) of our water supplies, we would have realized that bacteria and viruses can best be managed by altering the frequency of water. Instead, based on Pasteur’s Germ Theory of Disease, water treatment facilities began to regularly use chlorination to kill off bacteria and viruses found in water supplies. Chlorination has played a critical role in modern water systems. It has protected us from unsafe drinking water for more than 100 years. However, recently, we have learned that there are consequences to the chronic over-use of chemical sanitizers like chlorine. We now know that chlorination triggers what is called the “microzyma evolution”, which creates ever more resistant strains of bacteria and pathogens. It has also been discovered that natural organic substances generally react negatively when exposed to chlorinated tap water. This is evidenced in the formation of a dangerous compound known as MX. MX stands for “Unknown Mutagen,” and is similar to the well-known and easily detected cancer-causing THMs (trihalomethanes). Water has molecular memory, we might say, creating the ability for water to effectively store and share information. Even after removing harmful contaminants from water, water remains encoded with the memory of related substances and frequencies. Moreover, chlorine is a major culprit in damaging the physical properties and the ideal crystalline structure of water. When you dismantle the crystalline structure of water you strip away its life force energy. 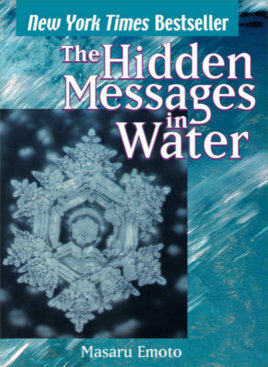 Water that has a low vibration sends out a frequency that it is unhealthy. This attracts insects, algae and unhealthy bacteria to the water. This happens because the bond angles (geometry) in the water molecules have changed to have memory and frequency related to disease. Adding more chemicals, such as chlorine, does not solve the underlying problem. In fact, bacteria in the water begin to adapt and evolve, becoming increasingly resistant to the very chemicals meant to eliminate bacteria. This happens much in the same way that people require stronger and stronger antibiotics to combat bacteria. The crystalline structure of water is absolutely vital to the homeostasis of water. Homeostasis is a self-regulating process by which biological systems maintain stability while adjusting to conditions optimal for survival. If homeostasis is successful, life continues. If unsuccessful, it leads to lack of dissolved oxygen, acidic pH and a growth medium for harmful bacteria, viruses, and parasites. The quality of the water in our body has everything to do with our body’s ability to resist disease. The average human body is comprised of at least 70% water. Human cells are thus 70% water, and the DNA in cells is 70% water. This makes the quality, content and structure of water the most important thing we should think about when considering health policies. Water pollution around the world must be addressed by a new non-toxic, non-chemical approach approach. Nature has demonstrated that we can regenerate water by swirling it in a particular spiral pattern. In the process, water undergoes an electromagnetic and energetic transformation and regains homeostasis and life-giving power. Great damage is done to water vitality by straightening out its natural meanderings. Yet our current water systems are exclusively built using straight pipes with sharp 90 degree turns. Bechamp was correct. Our focus should be on the frequency and energetic environment and not just a classic allopathic approach. Vortex Frequency Resonance (VFR) is a very important emerging water technology. It combines vortices, magnetism and the ability to program beneficial frequency patterns into water. This technology is being pioneered by our firm via our Hydreva® products. The results involves a more ideal crystalline structure of water and a higher energetic state. By implementing certain technologies with subtle electromagnetic components, it is possible not only to erase water’s negative memory but also to induce positive bio-frequencies, with immediate related water quality improvements. Living, energized, structured water creates better human and environmental health. As the years pass, this will become recognized. The development of Hydreva’s new approach to water treatment will help greatly reduce the need for toxic chemicals currently in use in water treatment and create countless natural benefits.